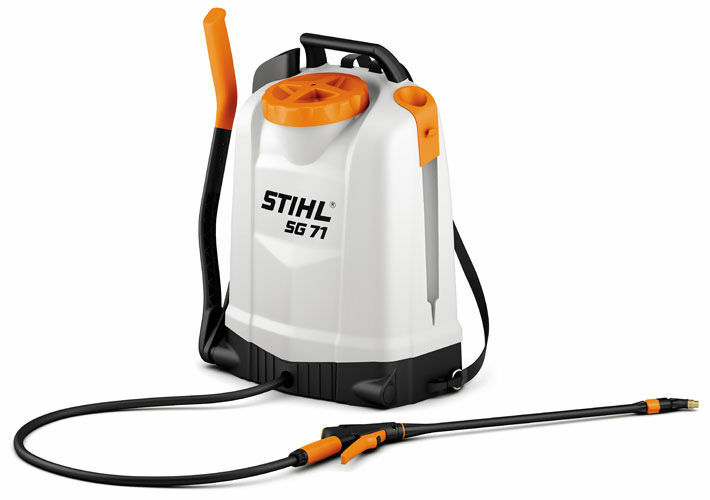 The STIHL SG 71 backpack sprayer is designed for when you need to get up close and personal when spraying pesticides and disease-controlling chemicals. Ergonomic and lightweight, it is perfect for getting into tight spaces for precise spraying of roses and other shrubbery. Measuring the dosage is now even easier than ever due to the built in measuring cups on the underside of the tank lid. Designed for professionals and gardening enthusiasts, this compact sprayer will be a great ally in keeping bugs and disease under control in your garden.